There are many details to take care of when a loved one passes away. During this overwhelming time, your family has to decide 100 things in just hours. If you did not take care of your funeral planning ahead of time, your family will have to do it at the last minute. Don’t allow your family to endure this emotional and financial nightmare.Learn more about the 9 things you need to know about funerals now. This article will guide you step by step to help you plan, prepay and insure your funeral. What Are The 9 Things You Need To Know About Funerals? 1 – Establish Your Funeral Wishes. There are Funeral insurance companies, and Funeral homes which can help arrange this important aspect of your funeral. Sometimes, funeral homes and final expense insurance companies include these benefits when you buy a service or policy from them. There are also resources online, which you can sign up for at no additional cost. ( See links at the end of article). 2 – Learn About your Funeral Rights. The Federal Trade Commission established rules for funeral homes in 1984. funeral homes must follow these rules to make sure you, the consumer, does not spend unnecessary money on merchandise or non-required expenses. You can order a Funeral Rights Guide from their website at no cost. See Link to site the end of this article. 3 – Find Out How Much a Funeral Costs. According the Funeral Director’s Association a funeral cost was more then $6,000 in 2017. 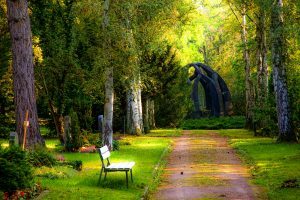 Additionally, get ready to spend around $5,000 or more on cemetery expenses if you prefer a traditional funeral with burial. See the Table below to see more details on these expenses. 4 – Consider Buying A Final Expense Insurance Plan. Final Expense insurance is one of of the most affordable ways to ensure your family has enough money to cover your funeral expenses. Additionally, Funeral directors love final expense insurance because they know they can receive the money once the beneficiary assigns it to the funeral home. There are many options for Final Expense insurance today. 5 – Do Some Research About Government Funeral Benefits. Most veteran’ families find that additional funding is necessary in order to provide the type of funeral or cremation service they find appropriate for their loved one. Under certain conditions, Social Security provides a one-time death benefit to the spouse of an eligible recipient. And, for non-service related deaths, the VA will pay up to $300 for burial and funeral expenses and a plot interment allowance up to $300, in lieu of burial in a National Cemetery. Consequently, most families will be responsible for paying the rest of the funeral costs. 6 – Communicate With Your Family About Your Final Disposition. Many times families have no idea what type of funeral to buy for a loved one because nobody talked about this important matter. Furthermore, your family may think you already took care of all the arrangements. Maybe you already bought a burial plot, but you have not researched on the rest of the funeral expense like: Casket, funeral ceremony, transportation, viewing, and more. We recommend giving your family copies of your insurance policy, burial title, and your final wishes document. 7 – Learn More About The Different Types Of Funerals. 8 -Important Things Your Family Will Need To Do After Your Death. Call 911 to report the death if outside of a hospital or nursing home. Notify doctor or hospice nurse. Contact the county coroner; this is useful for insurance purposes. Notify relatives,close friends, and coworkers . Call the executor for the estate, or the person responsible for billing expenses. Get in touch with funeral home director to start the process for the arrangements or start work on the pre-plan. Collect the information that you will need for the death certificate at the funeral home. 9 – Additional Tasks Your Loved Ones Will Need To Take Care Of After Your Funeral. Notify the employer to get last paycheck and other benefits. Cancel Lease Contract if Renting. Call the Utility Companies to cancel services. Contact Bank to close checking accounts and credit cards. Visit the local post office for mail rerouting. Claim the $255.00 Social Security funeral benefit. Complete the Life Insurance Policy Claim, if any.